While trigonometry is used to solve problems involving right angle triangles, it can also be applied to triangles that are not right angle triangles. Assumes you understand basic trigonometric concepts. A tutorial on understanding sine, cosine and tangent can be found here. A tutorial on understanding the trigonometric functions and the unit circle can be found here. 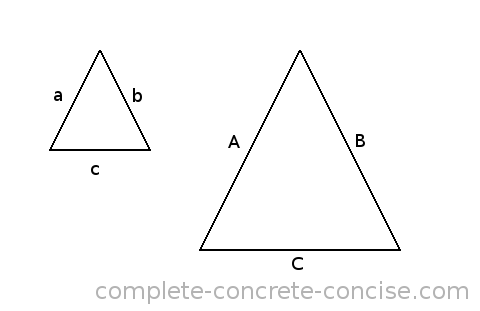 One of the fundamental properties of two triangles that have the same shape (i.e., they have the same angles) is that the ratio of any two sides is identical – regardless of the size of the triangles. This property allows you to study a more conveniently sized triangle to learn things about an inconveniently large or small triangle (for example, a triangle formed by the Earth, moon and sun, or a triangle of forces formed by the interaction of atoms or molecules). 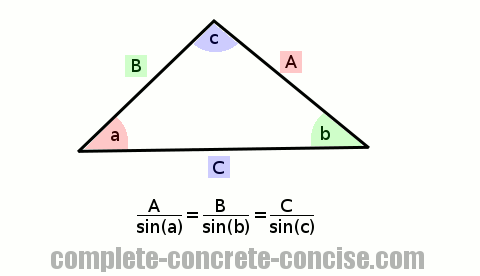 The trigonometric functions were developed for right angle triangles because they made it easier to solve problems. Surprisingly, the trigonometric function sine can be applied to any type of triangle – provided you know how. 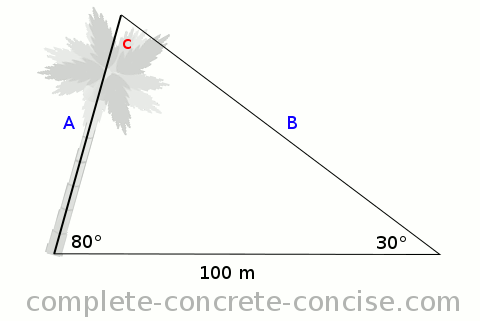 Consider a tree which grows at an angle of 80° relative to the ground. 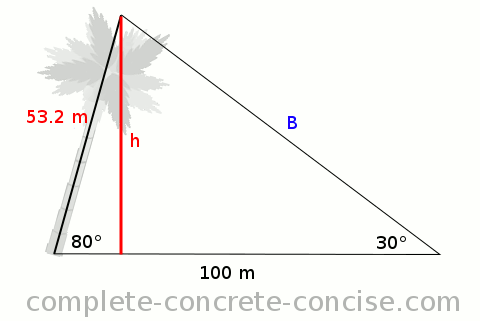 If the measured angle to the top of the tree is 30° and the distance from the measured angle to the base of the tree is 100m, how tall is the tree? How high does the tree stand? We know the angles in a triangle sum to 180°, so we know c = 180° - 80° - 30° = 70°. Solving, we get a height of 53.2m for the tree. Drop a perpendicular line from the peak. This is the the height the tree stands. I call it h.
When we solve this through, we get the same answer as using standard trigonometry.